Who says eating gluten-free has to taste bad? 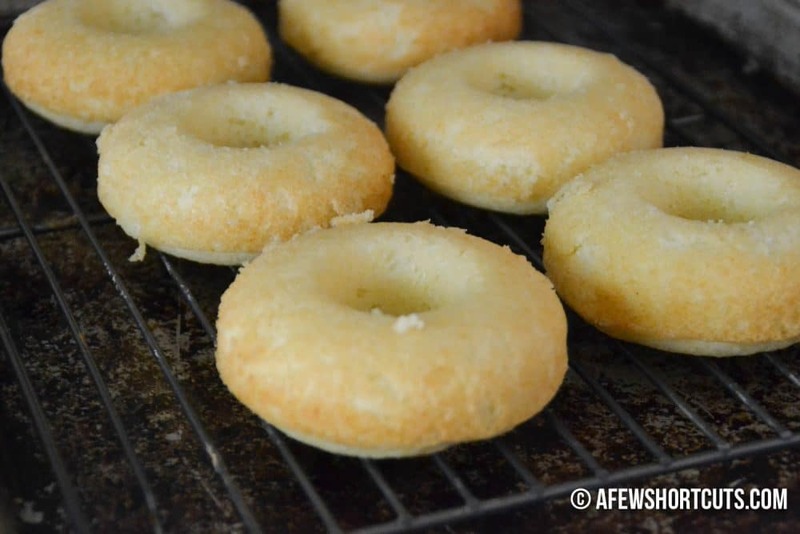 You have to try this simple and tasty Gluten Free Powdered Sugar Doughnuts Recipe. Can be made dairy free too. Such a yummy breakfast treat! I can not tell you how many times that we have been walking through the grocery store, with my three kids trailing behind me like ducklings, and turn around to see one of them drooling over the powdered sugar doughnuts in a bag. 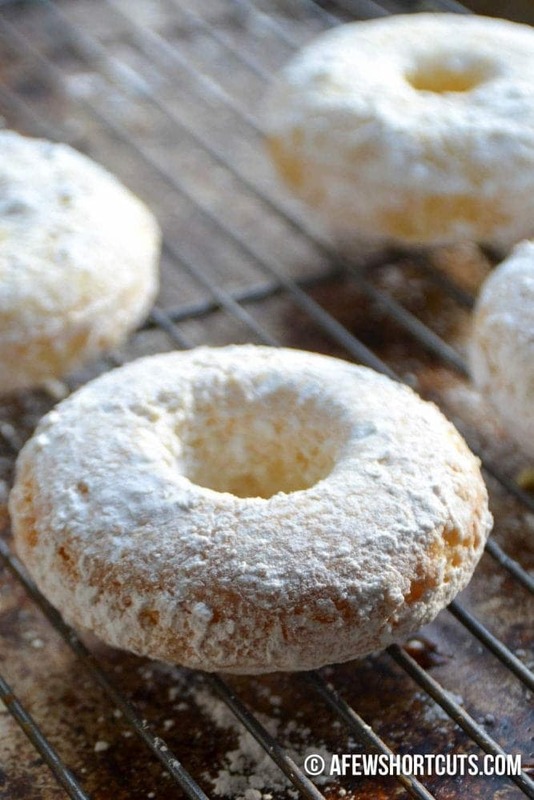 These Gluten Free Powdered Sugar Doughnuts are so much better than those store bought doughnuts. Nope, you know you can’t. Darn food allergies keep them from eating all the junk food. LOL, I decided not be such a terrible mom and surprise them with these Gluten Free Powdered Sugar Doughnut so that we can all enjoy a special treat. I know I am in trouble because these were a little TOO easy to make. I mixed up the batter by hand and I didn’t even need a huge bowl; just a whisk and a few minutes. My secret weapon is my doughnut pan. Best thing I have bought in a LONG time! Love it and need to buy a second one. 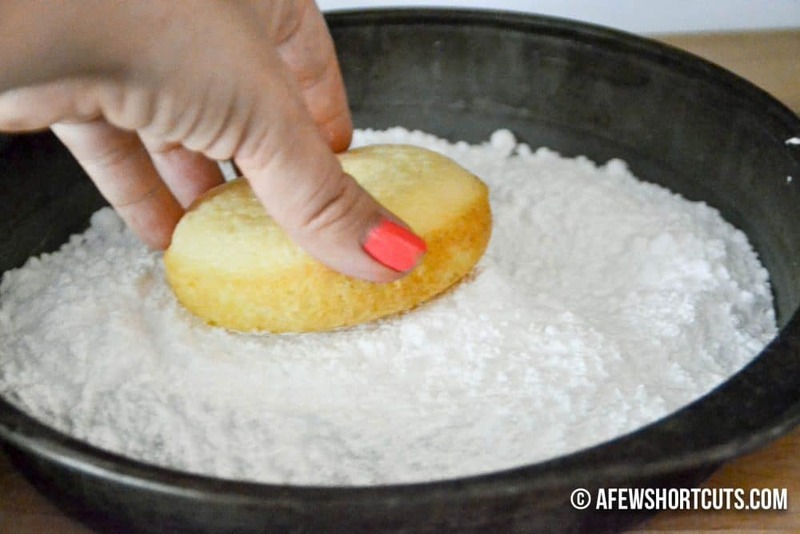 This gluten-free powdered sugar doughnut recipe makes enough for ten doughnuts depending on the size….my pan hold 6. 🙁 Had to wait for it to cool, wash, and reload. Thus the reason I need another. Bake for about 18 minutes at 350 degrees F. They will be all puffed up and beautiful. Let them cool in the pan for 5- 10 minutes. I guess I was impatient or didn’t grease my pan enough cause I had to fight mine a little with a butter knife and talk them into joining the party. But they all made it out in one piece. I think it was the fact that I was dunking them all in powdered sugar. My kids couldn’t resist. I coated the doughnuts on both sides well. The sugar sticks better if the doughnuts are still warm. Something to keep in mind is not to let them cool TOO much. These are some of the prettiest doughnuts ever! Maybe we were just really hungry for them, but OH MY YUM! 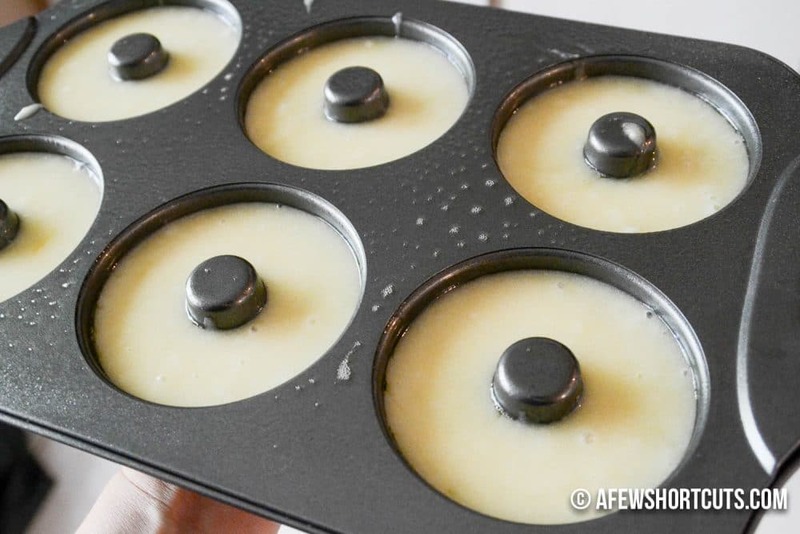 Preheat the oven to 350º and spray two nonstick 6-cavity doughnut pans with cooking oil. 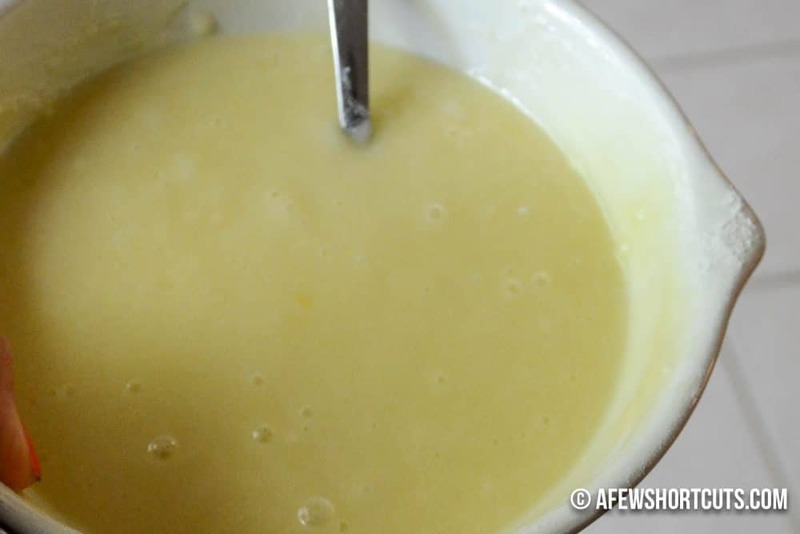 In a large bowl, whisk the flour with the sugar, baking powder, cinnamon and 1/2 teaspoon salt. Spoon the batter into 10 cavities of the prepared doughnut pans until about three-quarters full. Bake for 18 to 20 minutes, until a toothpick inserted in the center of a doughnut comes out clean. Let the doughnuts cool slightly, then fill a pie plate with confectioners’ sugar and dredge the doughnuts in the sugar to coat completely. Use dairy free milk of your choice. I used almond milk. Do you suppose I could use a egg substitute, like EnerG or a flax egg? I don’t see why not Donna. I have not done it personally but I would love to hear your results! What kind of gluten free flour do u use? I use the Gluten Free Baking Mix from Aldi. I love it! You can use any brand gluten free baking mix or flour mix with great results. Love these! I’ve made them twice already. My batter did turn out slightly thicker but I just added a touch more milk! 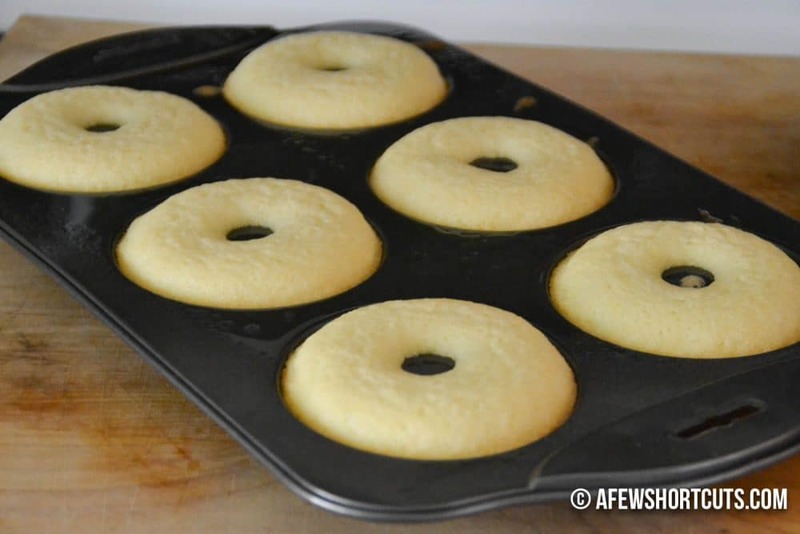 Thank you so much for a delicious donut recipe! Complete game changer. Thank you so much for this recipe. Don’t hesitate make these immediately! Are used Pamela‘s flower. I was afraid to try them for fear of yet one more gluten-free baking let down. This will be a traditional Christmas item. Thank you ?? I made them today. Donuts came out great. I have missed have a donut with my coffee. I made these today for my daughter who is gluten and dairy free! They are so delicious but It made so many. Has anybody tried to freeze them?